Welcome to the Technology for AeroSpace Control (TASC) lab. We are based at the Aerospace Engineering Department of the University of Bristol (UK, Europe). The team leader is Dr. Andrés Marcos, senior lecturer in aerospace control with over 15 years experience in Industry and Academia across U.S., U.K. and Spain. Our projects focus on the development and application of modern control techniques to aeronautical and space systems, covering modeling, analysis and design. 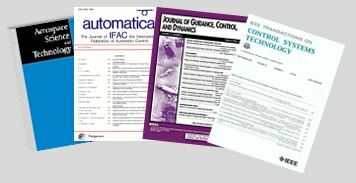 List of the group's publications (book chapters, journals and conferences). We support open-access and when possible a pre-print of the publication is included. Meet the present and past team members, visitors and collaborators.